The best part of being a member of the Guidecraft Educator’s Blog Team is that we have the opportunity to introduce our readers to amazing children’s toys that are not only fun but educational too. The Magneatos Better Builders 100 Piece Set ($159.95) from Guidecraft is an excellent educational toy for both the home and classroom too. 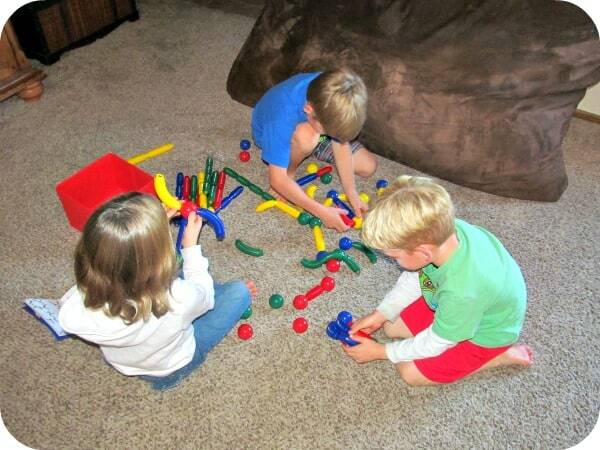 This Oppenheim Platinum Best Toy Award Winner consists of a series of colorful red, blue, green and yellow straight and curved pieces and rods and balls that are magnetized and can be easily connected in any number of different patterns and shapes. In the classroom, Magneatos are an excellent way to introduce younger children to scientific principles and construction. At home, Magneatos can be used for free play to allow the child’s imagination to soar while building virtually anything. In fact, my children ages 5, 6 and 7 have built a veterinary hospital for their stuffed animals, a crib and chair for a doll, a “working” dump truck and more. The Magneatos Better Builder Series includes a useful 22 page Activity Guide including ideas on how use magnets for hands on science lessons. There is no need to worry about the safety of magnets during play with even very young children (tested on ages 18 months and up) because the ingenious Guidecraft design houses the magnets securely and safely away from the child inside the oversized rods. I love that this set comes with a handy storage bin to keep everything in one place between playing time to make clean up a breeze. The Magneatos Better Builder Series is an engaging, hands-on toy that is sure to provide hours of fun for children of all ages. This would be an excellent gift idea for the holidays and would be a great gift idea for the classroom too. There are several sets available including a 30 piece set for $50, 60 piece set for $99.95 and the 100 piece set for $159.95. Sets can be combined or added together for even more fun possibilities. As with all Guidecraft products, you can be assured that the Magneatos Better Builder Series is durably designed and will last for years of play. You are invited to visit the Guidecraft website to browse all of the excellent heirloom quality wood furniture for children and toys as well as get purchasing information for the Magneatos Better Builder Series! 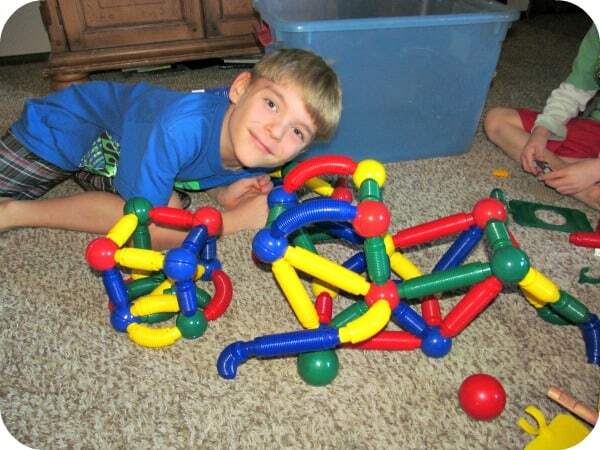 Want a chance to win a Magneatos Better Builders 100 Piece Set?! Hurry over to fellow Guidecraft Educator Blogger, Mommy PR to enter for your chance to win this fabulous set and enjoy reading her excellent blog posts too! Monster has had Magneatos since he was about 6 months old. They really helped him learn about magnets!! It is pretty expensive, but looks like its worth the price, interesting ! The thing with toys like this is that kids can play with them for hours! 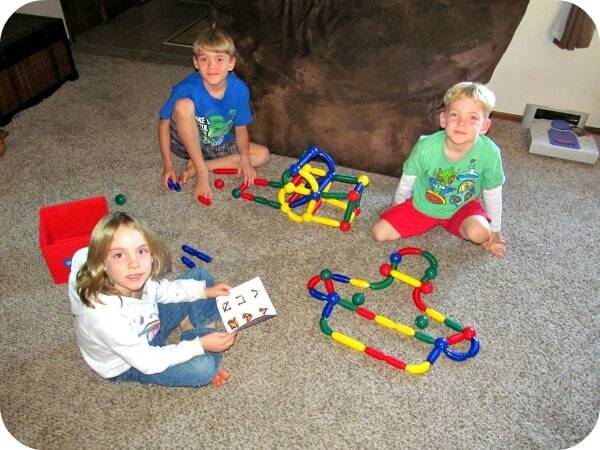 They can build different things and they can use their imagination. Legos are the same.. my son has legos and he will play with them for hours because he can make something different over and over again! These look like a lot of fun and lets the kids get as creative as they wish. 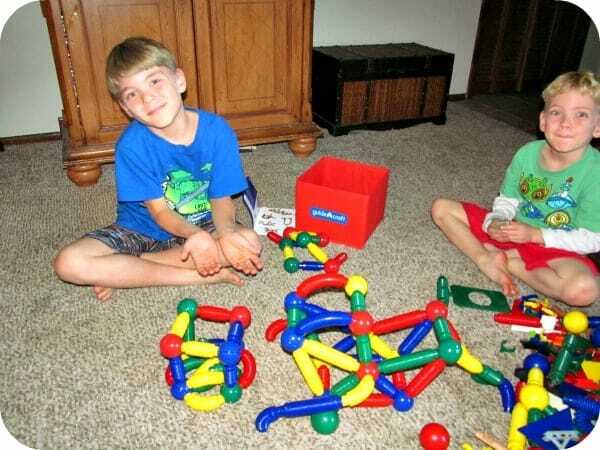 I think that the Magneatos Better Builders 100 Piece Set is a very interesting and educational toy for kids! The colors make this toy interesting, and the building learning skills that a child learns is so important for hand dexterity! A very good toy to use at home and in the child’s school! I really like this set since it’s baby friendly…no small pieces for him to choke on! It’s also great for their imagination! This looks like endless fun. And I like that the pieces are bigger for little hands (and mouths). These look so cool. I love magnet toys! This would make an excellent Christmas gift for my grandson, he would play with these for hours!